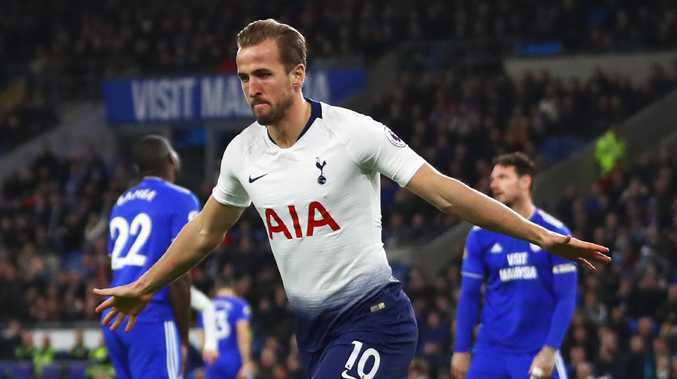 Harry Kane guided Tottenham to victory over Cardiff. THE Gunners were back to their very best as they thrashed fellow Londoners Fulham. Meanwhile, Arsenal's real rivals Tottenham were equally as impressive as they outclassed Cradiff, with their talismanic skipper writing his name into the history books. The Gunners responded to their thrashing by Liverpool in the best possible manner reeling off a routine 4-1 humbling of struggling Fulham in their Premier League clash on Tuesday. Kane was in scintillating form once again. 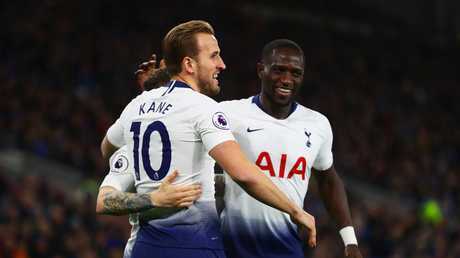 Kane's third-minute opening goal is the fifth successive New Year's Day he has scored in the Premier League, equalling a record held by Andy Cole and Steven Gerrard. Christian Eriksen and Son Heung-Min added further goals as Spurs had the win wrapped up before halftime and reclaimed second place, a point above Manchester City, and six behind leaders Liverpool. Jamie Vardy's 58th-minute strike gave Leicester City a 1-0 win at Everton and condemned Marco Silva's side to their fourth defeat in five English Premier League games.